Medical marijuana is the same marijuana/cannabis that is smoked recreationally, but is used to alleviate pain or improve the quality of life in certain patients. Medical marijuana is marijuana used to treat disease or relieve symptoms. Marijuana is made from the dried leaves and buds of the Cannabis sativa plant. It can be smoked, inhaled or ingested in food or tea. Medical marijuana is also available as a pill or an oil. The whole cannabis plant, including buds, leaves, seeds, and root, have all been utilized throughout the long history of this controversial herb. Despite persistent legal restrictions and severe criminal penalties for illicit use, marijuana continues to be widely used in the United States, and throughout the world, both for its mood-altering properties and its proven medicinal applications. The conflicting opinions on the safety and effectiveness of cannabis in a climate of prohibition make any discussion of its beneficial uses politically charged. Marijuana has analgesic, antiemetic, anti-inflammatory, sedative, anticonvulsive, and laxative actions. Clinical studies have demonstrated its effectiveness in relieving nausea and vomiting following chemotherapy treatments for cancer. The herb has also been shown to reduce intra-ocular pressure in the eye, a beneficial action in the treatment for glaucoma. Cannabis has proven anticonvulsive action, and may be helpful in treating epilepsy. Other research has documented an in-vitro tumor inhibiting effect of THC. Marijuana also increases appetite and reduces nausea and has been used with AIDS patients to counter weight loss and "wasting" that may result from the disease. Several chemical constituents of cannabis displayed antimicrobial action and antibacterial effects in research studies. The components CBC and d-9-tetrahydrocannabinol have been shown to destroy and inhibit the growth of streptococci and staphylococci bacteria. Cannabis contains chemical compounds known as cannabinoids. Different cannabinoids seem to exert different effects on the body after ingestion. Scientific research indicates that these substances have potential therapeutic value for pain relief, control of nausea and vomiting, and appetite stimulation. The primary active agent identified to date is 9-tetrahydro-cannabinol, known as THC. This chemical may constitute as much as 12% of the active chemicals in the herb, and is said to be responsible for as much as 70-100% of the euphoric action, or "high," experienced when ingesting the herb. The predominance of this mental lightness or "euphoria" depends on the balance of other active ingredients and the freshness of the herb. THC degrades into a component known as cannabinol, or CBN. This relatively inactive chemical predominates in marijuana that has been stored too long prior to use. Another chemical component, cannabidiol, known as CBD, has a sedative and mildly analgesic effect, and contributes to a somatic heaviness sometimes experienced by marijuana users. At present, cannabinoids are thought to exhibit their greatest efficacy when implemented for the management of neuropathic pain. Neuropathic pain is a form of severe and often chronic pain resulting from nerve injury, disease, or toxicity. Existing pharmacologic treatments for neuropathic pain are not optimal. There is a significant population of patients who do not receive adequate relief from their pain through the use of pharmacologic treatments. What are the common uses of Medical Marijuana? The body also produces its own cannabinoid chemicals. They play a role in regulating pleasure, memory, thinking, concentration, body movement, awareness of time, appetite, pain, and the senses such as taste, touch, smell, hearing, and sight. There is growing interest in the marijuana chemical cannabidiol (CBD) to treat certain conditions such as childhood epilepsy, a disorder that causes a child to have violent seizures. Therefore, scientists have been specially breeding marijuana plants and making CBD in oil form for treatment purposes. These drugs may be less desirable to recreational users because they are not intoxicating. Does the FDA recognize it as medication? 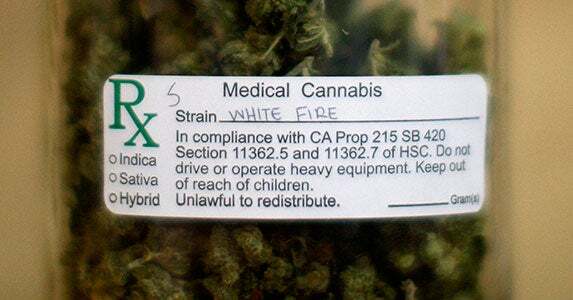 The U.S. Food and Drug Administration (FDA) has not recognized or approved the marijuana plant as medicine. However, scientific study of the chemicals in marijuana, called cannabinoids, has led to two FDA-approved medications that contain cannabinoid chemicals in pill form. Continued research may lead to more medications. Because the marijuana plant contains chemicals that may help treat a range of illnesses or symptoms, many people argue that it should be legal for medical purposes. In fact, a growing number of states have legalized marijuana for medical use.